A blast from the (very, very distant) past, Martin Wallace does arena combat, and Terraforming Mars heads to the outer planets. 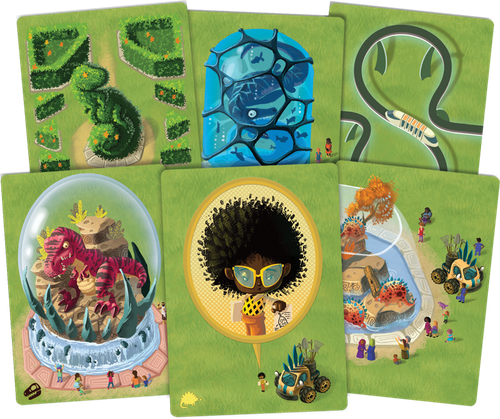 A tiny card game with big charm, Mesozooic from Z-Man Games has you running a prehistoric zoo… in real time! Place trams, topiaries, and T-rexes as you try to get adjacency bonuses and perfect positioning. The art is by Atha Kanaani, who has previously worked on several Pandemics, and Flick ’em Up, Dead of Winter. 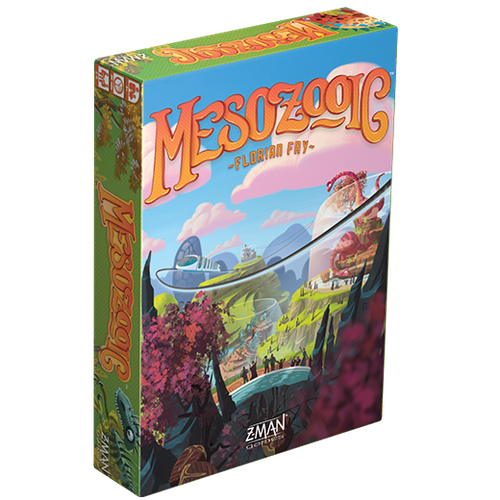 Billed as a lighter, party-level experience, Mesozooic is available to pre-order right now. 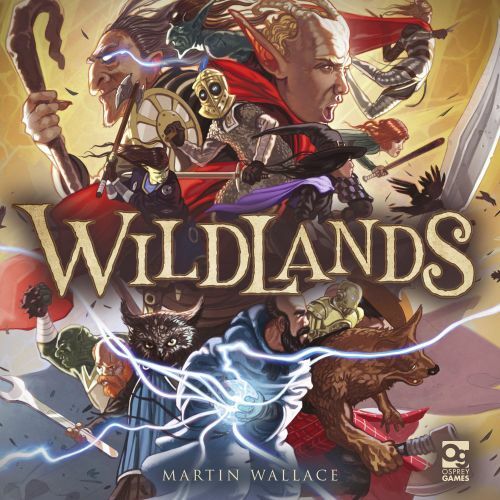 One of board gaming’s most prolific and revered designers tries his hand at arena combat as Martin Wallace teams up with Osprey Games to present Wildlands. Set in a universe of animals and robots, magicians and fighters, Wildlands is a, well, let the man himself explain. The game is on track for an Essen release and is HOTLY on my radar so you will definitely be hearing more about this from me. Welcome to the outer planets. 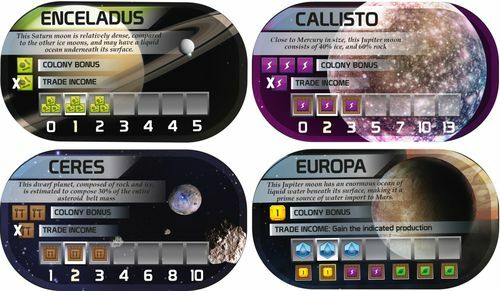 The fourth expansion to the smash hit card drafting and area control game sets its sights outward, to the moons of the gas giants and other major bodies of the solar system. 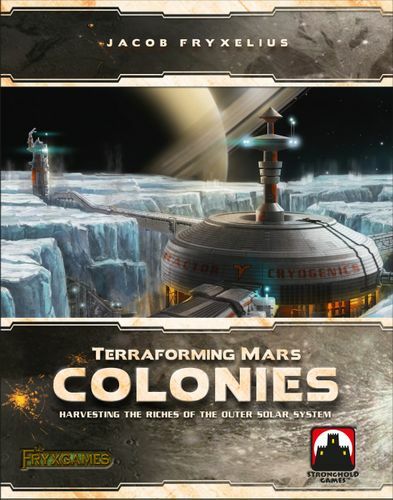 A small box expansion that’s already available for pre-order, Colonies offers new ways to improve your incomes, new cards, and new corporations to play as, and seems like a great pickup for fans of the base set (of which there are tons of you, as Terraforming Mars continues to storm our trending charts. Gamble, bluff, negotiate, and tell tales of space adventure! Galactic Scoundrels is a storytelling card game with a space-western theme and beautiful, gritty artwork that you can grab for just 25 (fistfuls of) dollars. A card-driven rendition of the classic arcade fighting game where you take the role of a colorful and fantastic martial artist. Every fighter has a unique fighting style, and hence every match-up has a different dynamic and meta game – this head to head card fighter seems like a winner. Boasting an ‘unbelievably large box’, the long out of print Snowdonia returns in style, with hundreds of cards, custom wooden tokens, and a ton of promo cards. If the idea of a worker placement themed around Welsh railways sounds your idea of a good time, hit this project up.